Veterinarians have discovered a bovine tuberculosis positive cow in a beef cattle herd in Wheeler County, Nebraska. The Nebraska herd was identified through an epidemiological investigation from an infected herd in South Dakota. LINCOLN, Neb. 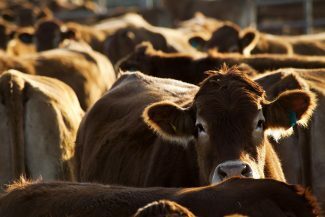 – According to Nebraska Department of Agriculture State Veterinarian Dennis Hughes, NDA and U.S. Department of Agriculture veterinarians have discovered a bovine tuberculosis positive cow in a beef cattle herd in Wheeler County, Nebraska. The Nebraska herd was identified through an epidemiological investigation from an infected herd in South Dakota. 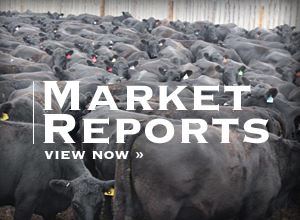 "Nebraska was contacted by the South Dakota Animal Industry Board earlier this year as they began to trace the movement of cattle into and out of their infected herd," Hughes said. 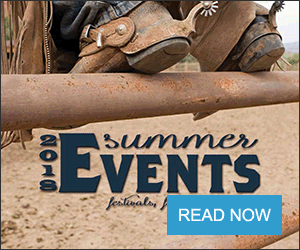 "We have been diligently working with our counterparts in South Dakota and the USDA to locate and test the cattle that were moved into Nebraska, and through that testing procedure we discovered the TB positive cow in Wheeler County." NDA and USDA are currently working together with the producer, who has been cooperating with both agencies. The herd is under quarantine. "Our staff will be conducting a thorough investigation tracing the movement of cattle into and out of the Wheeler County herd," Hughes said. "We will also be working to locate any cattle that may have been pastured next to and had fence line contact with the infected herd. TB is primarily transmitted through nose to nose contact, so it is imperative that we work with those neighboring producers to test their cattle as well." TB is a slow, progressive disease and is difficult to diagnose in the early stages, however, as the disease progresses, animals can exhibit emaciation, lethargy, weakness, anorexia, low-grade fever, and a pneumonia with a chronic, moist cough. If a producer sees any of these symptoms in their herd, they should contact their local veterinarian. Further information, including FAQ sheets on TB can be found on the NDA website at http://www.nda.nebraska.gov.